Are house chores keeping you from enjoying the finer things in life? Do you want to go shopping at Sugar Land Town Square, or you simply need to take a few hours to get all the things you need from the First Colony Mall? This is where That’s Clean Maids come in. We will help you find the best in the business who will take care of all the boring house cleaning for you and with great attention to detail! Sugar Land is our home, and we’re proud of it! The referral platform That’s Clean Maids is a locally owned business that isn’t satisfied with just making the quick buck. No, our long term goal is to make the community itself a better place to live in. Sparkling clean homes make for better neighborhoods and happier people! Don’t believe us? 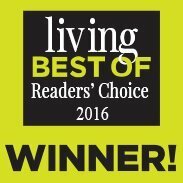 Allow us to send you a cleaning team today and they'll show you why they're the best! Keeping your home spick-and-span sounds next to impossible, we know. Luckily, it doesn't have to be the case anymore. All you need is a customized cleaning package! Available at flat or hourly rates, the package comes with no strings attached – no need to sign a contract, plus, you're free to cancel anytime. We focus on YOU and making you happy. Customize your cleaning and make your home life better than ever! Sugar Land is one of the most affluent and fastest-growing cities in Texas. 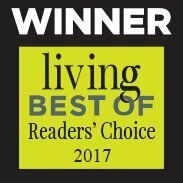 In 2004, the city was named one of the 100 best places to live, and its Smart Financial Center is the only such venue of its kind in Greater Houston! Sugar Land is truly a place that your friends and family will happily visit. But wait! You have been overwhelmed with work and didn’t have the time to clean your home properly before their arrival. No problem! 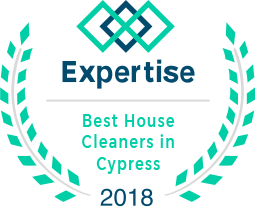 The best maid referral service in Sugar Land TX, That’s Clean Maids, will make all the arrangements for you, and your new cleaners will make you home squeaky clean quickly, affordably, and professionally. Book a house cleaning Houston TX through our handy platform and let the best in the business handle the mess. Hiring cleaners is a scary business. After all, a maid is a stranger, and letting strangers into your home isn’t something that should be done lightly. That’s Clean Maids has solved that problem for you! The maids we work with go through an extensive vetting and background-checking process to ensure they are the most experienced and trustworthy professionals. 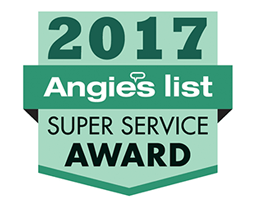 They also perform house cleaning Kingwood, house cleaning Humble, house cleaning Atascocita and house cleaning Richmond, areas. In fact, we’re so proud of our service that we offer nothing short of a 100% satisfaction guarantee! In case you’re unhappy with any aspect of the service, no matter how insignificant it may seem, let us know and we will fix it in under 48 hours! We make getting reliable cleaning aid easy and quick. Cleaners only get to work with us after passing extensive background checks. Use your free time to have fun and enjoy better things in life, and let professionals make your home a healthy, clean environment in the meantime! Easy, pain-free payments are our pride and joy. You pay for the service only after your cleaners have finished. That 100% satisfaction guarantee isn’t just marketing. We take it seriously and greatly value your feedback! We are always available via phone or email. Not only that, we will automatically keep you updated regarding the cleaning job.